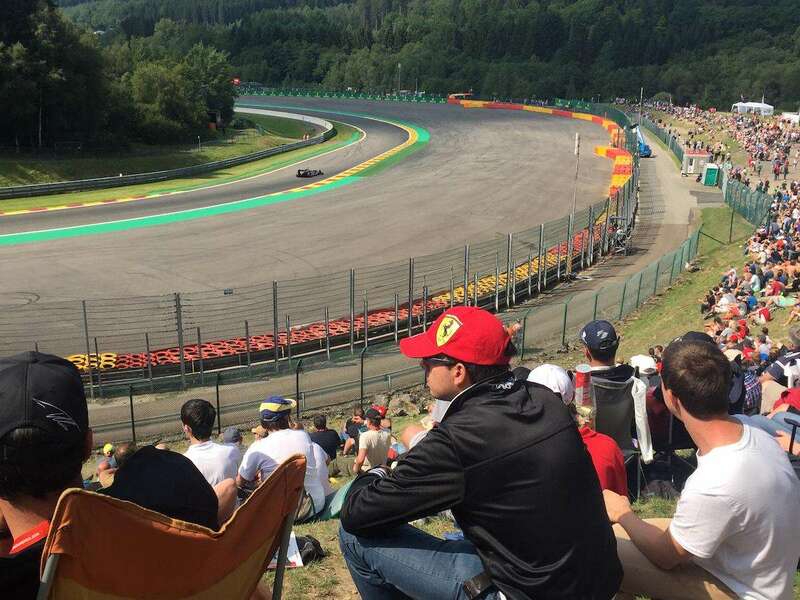 From trackside camping to luxury hotels, here’s our pick of the best places to stay for the 2019 Belgian Grand Prix at Spa Francorchamps on August 30 to September 1. All images © f1destinations.com. Support the future development of F1Destinations by reserving your accommodation through the Booking.com links on this page. You won’t pay more and we receive a small commission. We also recommend Official Ticket Packages from F1 Experiences. The legendary Spa Francorchamps circuit is located in the rural Ardennes region of eastern Belgium, around 150km from Brussels and close to the German and Dutch borders. Unless you are camping next to the track, we recommend hiring a car and staying a little further afield as there’s a scarcity of reasonably priced accommodation close to the track. It’s cheaper, more convenient and the traffic isn’t too bad once you make it off the small country roads and on to the motorway (though more patience is needed on race day). 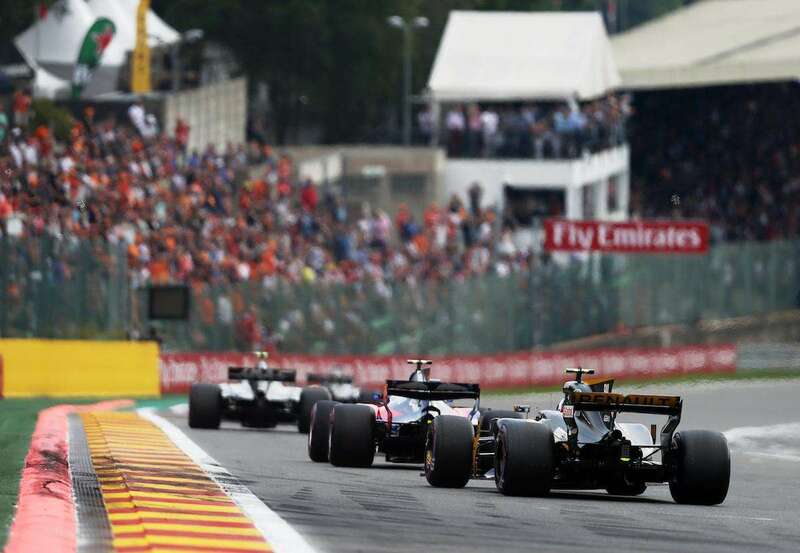 Larger cities within a reasonable driving distance of Spa are also worth considering for your Grand Prix base, including Liége (Belgium), Aachen (Germany), Maastricht (Netherlands) and Luxembourg. 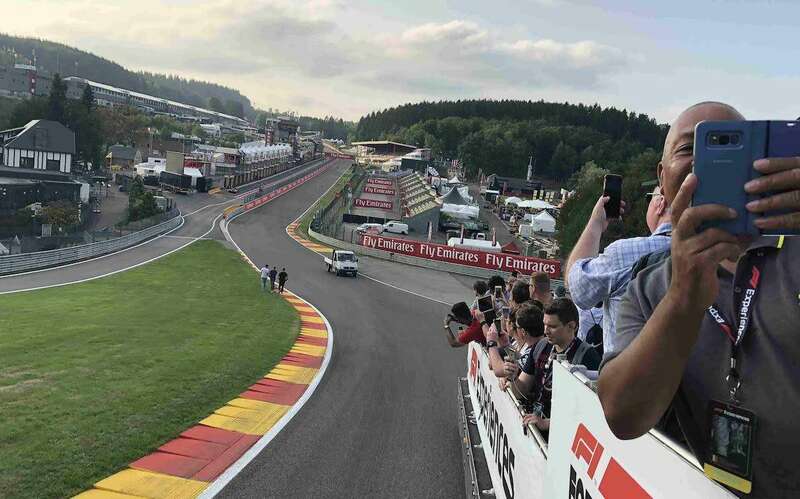 Official Ticket Packages from F1 Experiences at Spa-Francorchamps include select grandstands and VIP hospitality in the Champions Club and Formula 1 Paddock Club, plus exciting additional benefits such as a Drive the Track Tour (pictured), Guided Paddock Access and driver meet-and-greets. 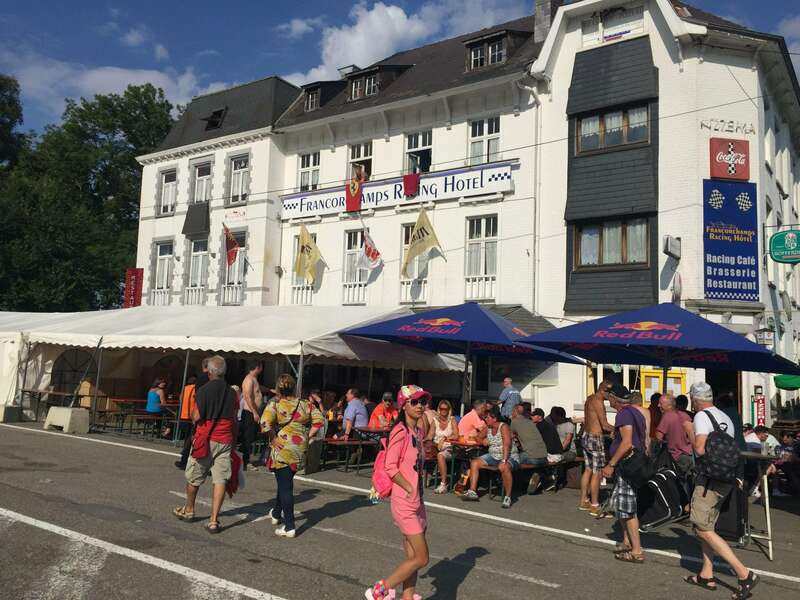 Add accommodation to your ticket package at the trackside Hotel de la Source or other nearby hotels. The camping areas are temporary, so facilities are fairly basic and whilst there are toilets and showers, no electricity is available. The campsites are also prone to being quite rowdy and drunken at night, so choose an alternative if you value a good night’s sleep. The camping pitches measure around 40m2, including space for one car and up to 5 campers. They are priced from around €60 per night or €160 for the whole weekend (from Thursday 8am to Monday at 11am). Several permanent campsites are also located in the vicinity of the circuit. Elephant, Spa D’or and Eau Rouge are well regarded. Intents GP also offers pre-erected tents at Spa. The F1 teams and their sponsors snap up the best local hotels long before race weekend, leaving a limited number of very expensive rooms. Below, we’ve chosen some of the best-rated accommodation near Spa, arranged in order of distance from the circuit. It’s also worth checking out the accommodation on offer in the following towns and villages: Stavelot (5km away), Malmedy (6 km away) and Spa (13 km away). 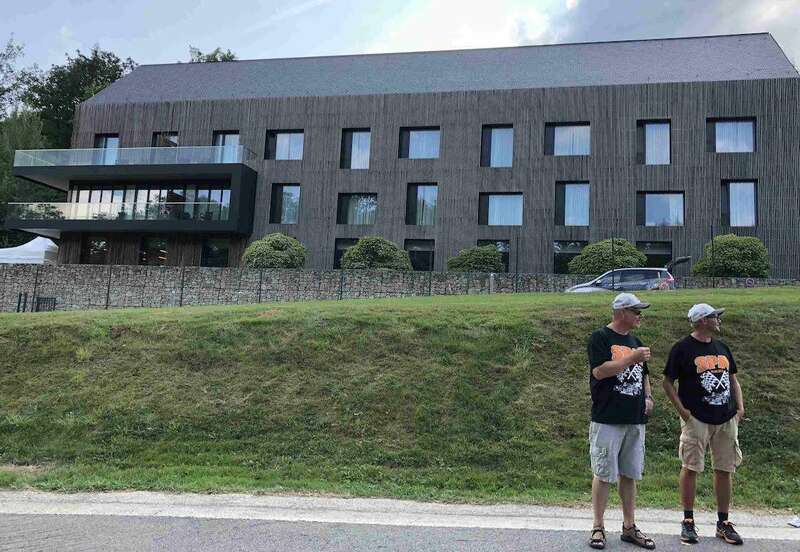 Should you be visiting on a non-race weekend when prices are more reasonable, we recommend the excellent Hotel de la Source, right next to the track. Luxembourg > Pictured above, Luxembourg is approximately 85km south of Spa Francorchamps. One of the smallest sovereign states in Europe, as well as one of the richest nations in the world, it has a population just over 500,000. There’s lots to see and do in this historic city. 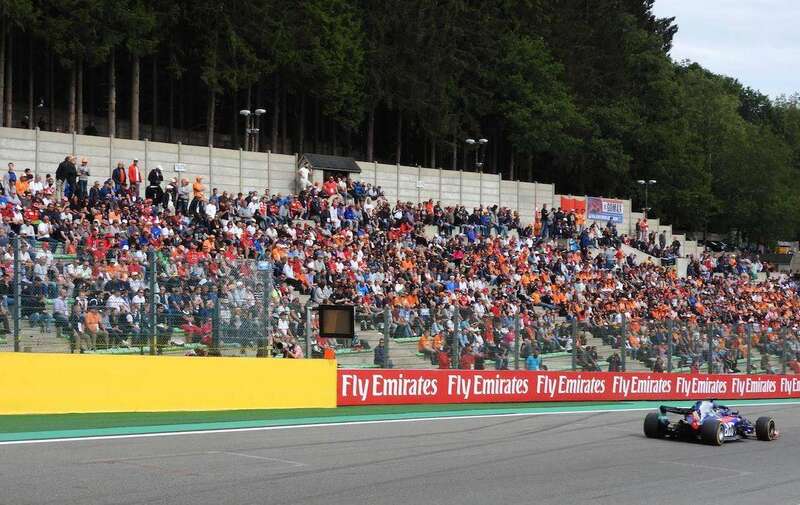 Where do you recommend staying for the Belgian Grand Prix? Leave a comment below. A breakfast can be provided.